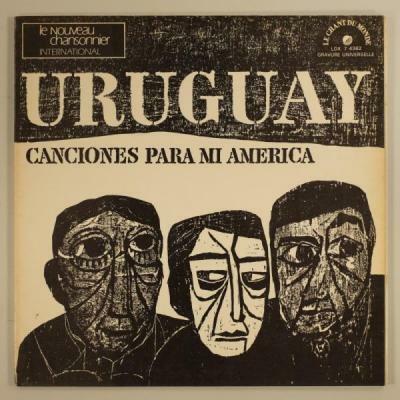 Album "Canciones folklóricas y seis impresiones para canto y guitarra"
Versione inglese di Barbara Dane da “Cancion Protesta: Protest Songs of Latin America”, Paredon Records, 1970. Give your hand to the Indian. Where he took me yesterday. Go with him out of the night. Will show you how to fight. Where all our feet will have to go. Red as the blood that still must flow. We will make them open now. Ou America cries out warning. See how the sky is turning bright. Are alive with the burning light. Our songs want no more owners. El Patron no longer commands. Learns to play with fighting hands! E incontrerai la strada, come ieri l’ho incontrata io. Ti bagnerà il sudore santo della lotta e del dovere. Se non si aprono le porte, dovrà aprirle il popolo. Pampa, fiumi e montagne, liberano la propria luce. La chitarra americana, lottando imparò a cantare.